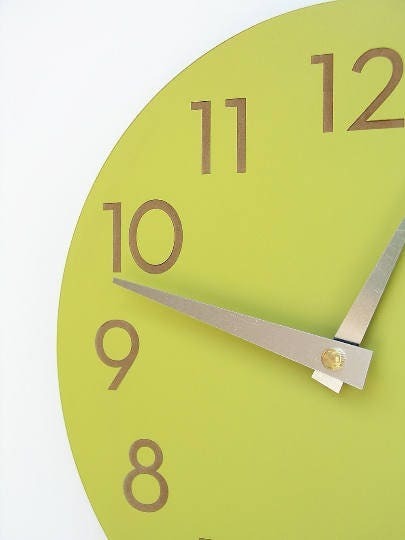 This easy to read modern wall clock is highly functional, with style to boot. 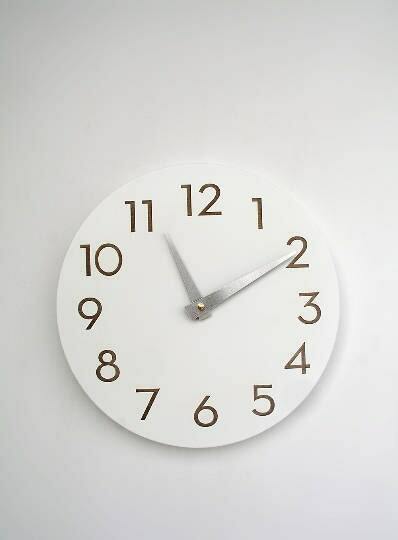 Perfect office wall clock or living room wall clock. 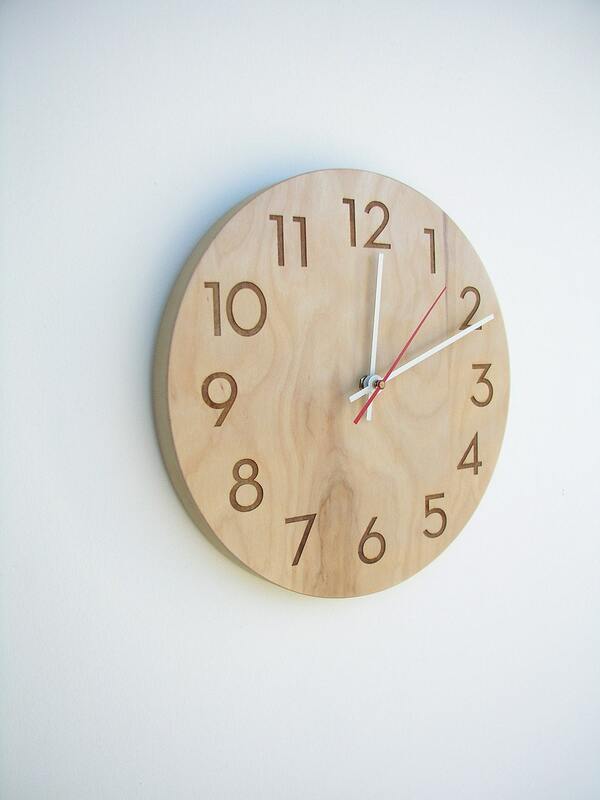 Sleek, simple numbers have been laser engraved into the natural birch face of this modern wall clock to reveal the MDF layer below. Professionally sprayed with hardy and environmentally friendly waterborne urethane to seal and protect. 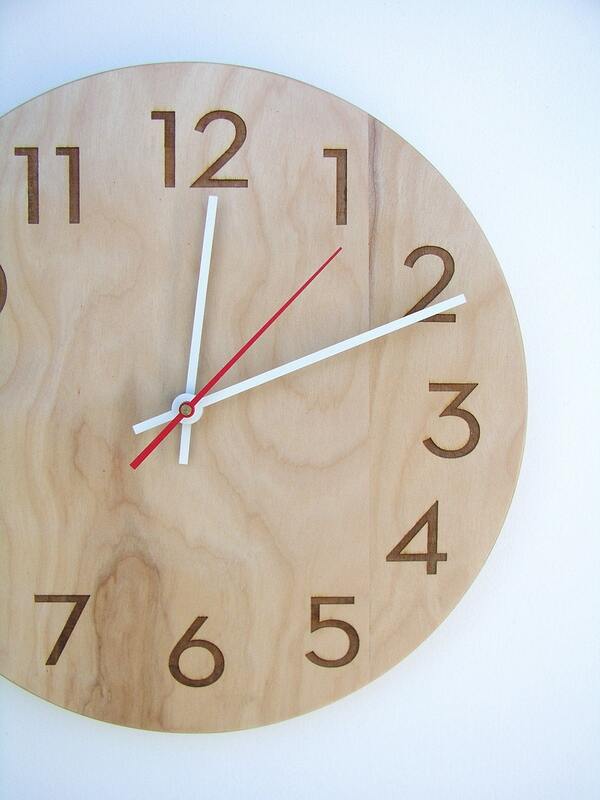 Please note that due to the natural qualities of wood, the woodgrain may vary from the clock in the photo. Your clock will be one of a kind, that's how cool nature is. Measures 10" across, 1" deep (Natural Birch finish is 3/4" deep). Metal hanger is inset for a close fit to the wall. Numbers are laser engraved through paint, so they are the color of the wood below. One AA battery required, not included. 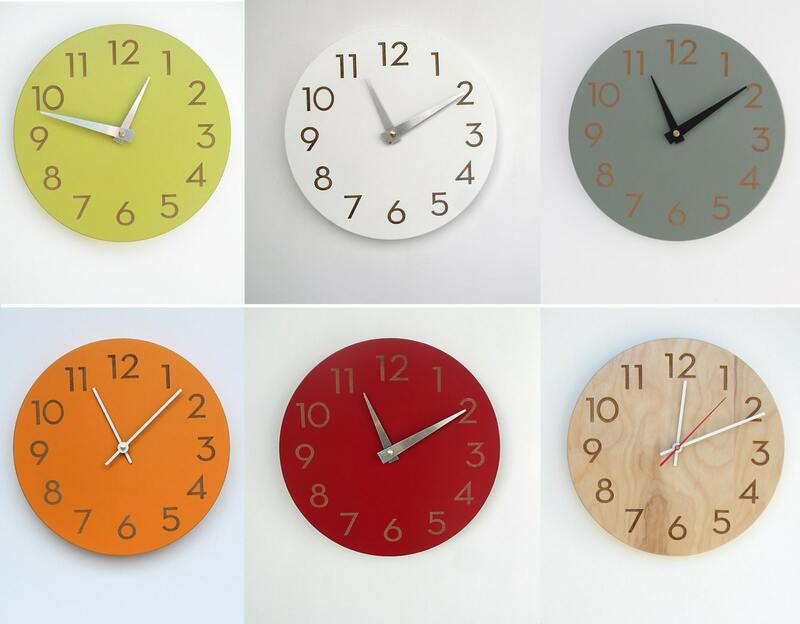 Available colors: White, Poppy Red, Natural Birch, Chartreuse, Ash Grey, Tangerine. Choose from the color menu displayed below the price. 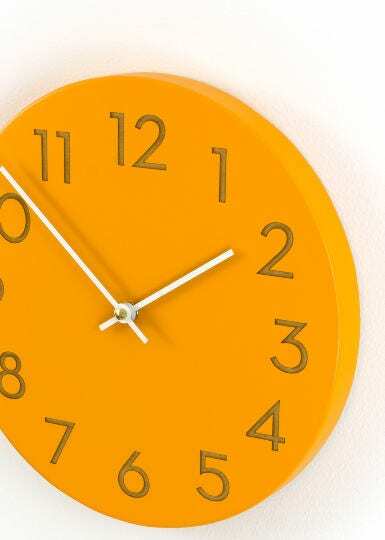 You will receive the color clock shown in the main image if no color choice is indicated. 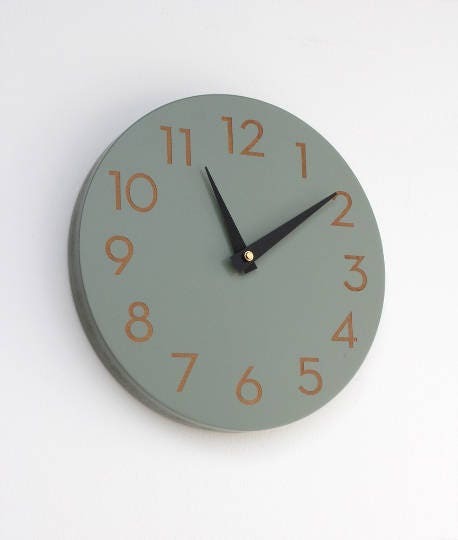 Your clock will arrive with the hands pictured on that color. 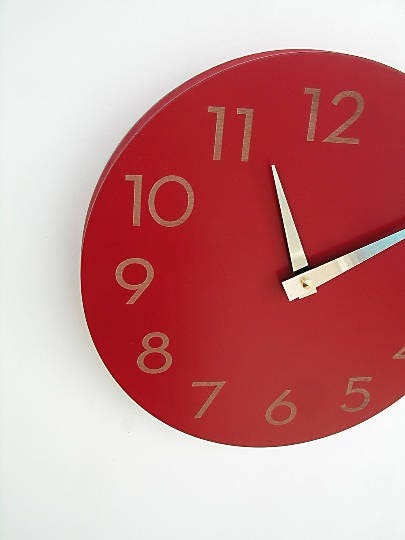 If you would like a hand option shown on another color of this model of clock, please request that hand in the 'message to seller' section during the checkout process. There will be a noticeable 'tick-tock' sound--if you prefer a silent clock, please purchase an additional silent mechanism listing, available in the shop. Domestic Shipping: This item ships via USPS Priority 2-3 day mail. Insurance included. International Shipping: This item ships via USPS First Class International Mail. This is not a trackable service and typically takes 2-4 weeks to arrive. Duties, taxes or fees charged by your country on international shipments are not included in the shipping cost and are your responsibility. all images and designs copyright 2015 dust and ashes productions, inc.